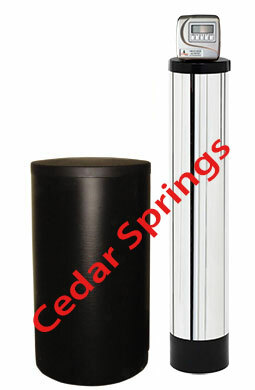 Here at Cedar Springs Water, our goal is and always has been to provide outstanding service and high-quality products for pure, fresh water. We offer home and office water delivery as well as a number of systems for filtering, softening, and purifying your very own tap water. Our courteous, friendly drivers have been delivering bottled water in the area for nearly 30 years, and in that time, we have expanded our services to provide affordable, high-quality water filtration, purification, and softening systems that you can buy, rent, or even rent-to-own. Our water is naturally free of chemicals, additives, and metals, and we test each bottle of water we produce to ensure it meets our stringent quality and safety guidelines. 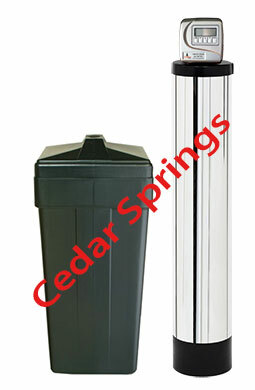 If you prefer to filter your own water at home or at the office, Cedar Springs Water offers you all of the supplies you need. From whole-home systems that we install at the inlet to under-sink systems that filter your water at the tap, it is possible to purify, clarify, and enhance the taste of your very own tap water. These systems remove particulates and debris that may make your water appear cloudy or influence its taste. The tap water in most locations, including the Richmond Hill and King Township area, contains volatile and industrial chemicals as well as chlorine – a bleach-like substance that kills potentially harmful bacteria in the water supply. Although these chemicals and chlorine appear in minute amounts, it is often better to be safe than sorry. Our water purification systems remove these chemicals, leaving behind only pure, fresh water. 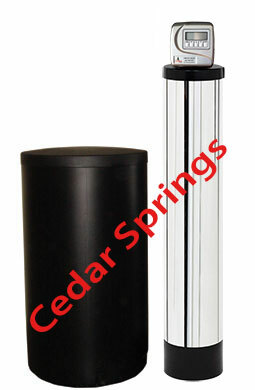 Cedar Springs Water covers all of your water delivery, filtration, purification, and softening needs. A friendly, courteous driver is in the Richmond Hill and King Township area every 10 days, and you can use our high-tech TeleWater system to place all of your orders. When there are high amounts of metals and minerals in your water, you have "hard water". While you cannot see it in the water itself, and while many people cannot even taste it, it causes problems. This hard water builds up in your pipes over time, and it leaves scale behind. It makes your hair appear dull, and it causes your skin to become dry and flaky. With water softeners from Cedar Springs Water, your detergents work much better, your hair and skin are healthier, and your appliances can last years longer.